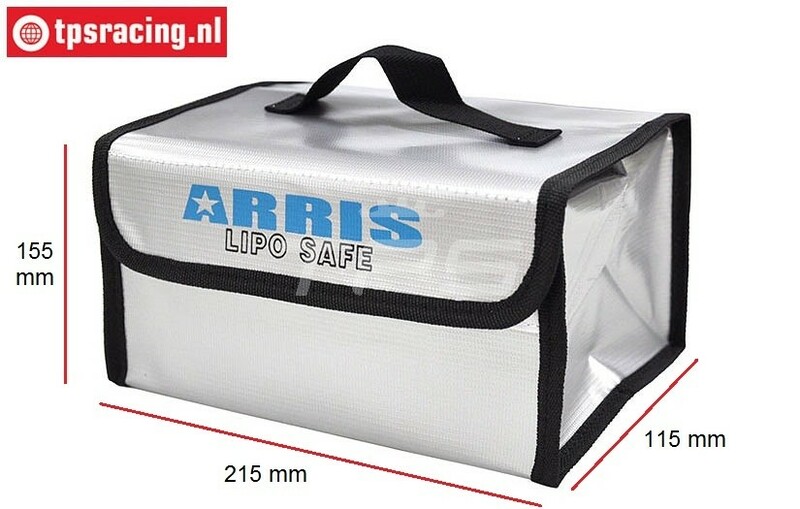 Li-Po and Li-Fe Battery protective bag. 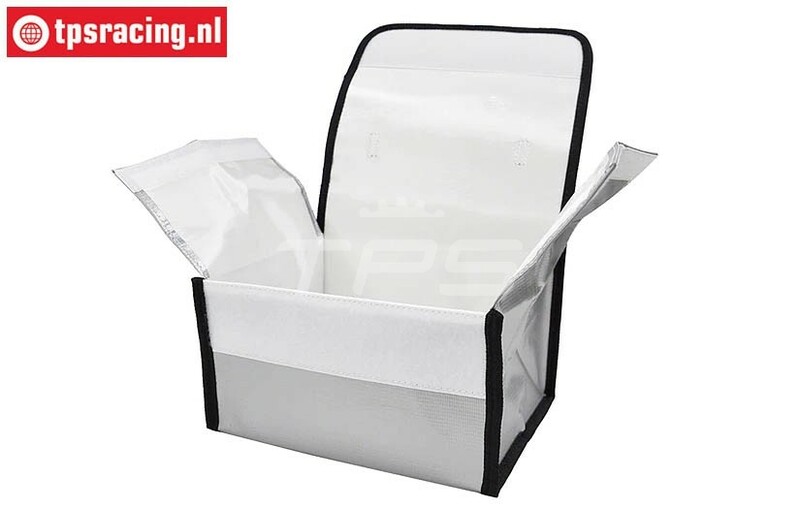 Special battery protection cover for protecting your batteries during the charging process and transport. Li-Po batteries are particularly dangerous and can cause serious damage to you and your environment when they are overloaded or over discharged. 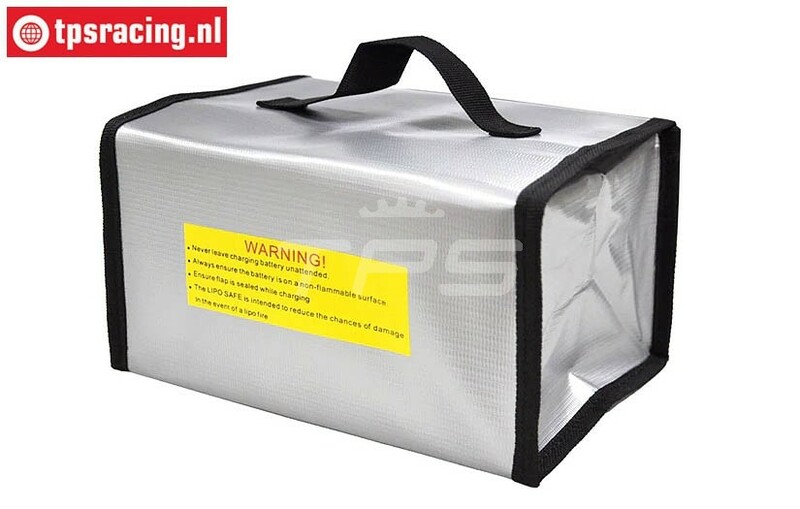 On all raqce tracks this bag is mandatory during the loading process. Equipped with handy Velcro closure and carrying grip. DYNB0500 2S Li-Po Reaction 5200 mAh, 1 pc. Reaction 2S Li-Po battery 5200 mAh. FG6549 Li-Fe hardcase batery 3200 mAh-20C, 1 pc. TPS58819 Charging cable Gold Banana-EC3, 1 pc. TPS0088 Banana plug Gold Ø4-L46 mm, 4 pcs. TPS58825 Charging cable Gold Banana-EC5, 1 pc. DYNB0501 2S Li-Po battery 7,4 Volt- 4000 mAh, 1 pc. AMASS1200/04 Amass T-Plug with Protection, 8 pcs. AMASS1200/06 Amass T-Plug with Protection, 12 pcs. FG6556 2S Li-Po FG Hardcase 6000 mAh 60C, 1 pc.